They are all great timewasters, enjoy! A great classic breakout game! Stop the asteroids before they hit your base(s). Note: you need shockwave. 3d pong with a twist. The ball actually curves! Java game based on the movie Tron. Supports up to 4 players. Play volleyball as a blob. Finding a great gift for your Girlfriend or Boyfriend can be a difficult task. You want something that shows you care and also doesn't break the bank. You could stick with the classic gifts: flowers, chocolate or a dinner for two. But is that really going to impress your significant other? Giving a more creative gift will get their attention and make it an event to remember. One easy way to impress your Boyfriend or Girlfriend is to incorporate a scavenger hunt into your gift. Instead of handing over the chocolates or flowers make a game out of it! You can hide your gifts around the house and create clues to lead them to the prize. Be creative with the clues and make them personal! Ask questions about your anniversary, the place you met, your favorite restaurant, inside jokes, anything you think they will enjoy answering. Not only is it a great gift but it's actually really fun to create a scavenger hunt for someone you love! If you put a little time into your clues I guarantee they will love your gift. 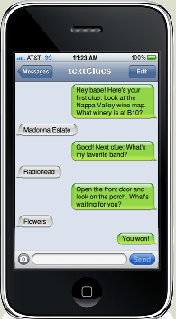 A great online tool for creating scavenger hunts is TextClues.com. The site allows you to create a text message scavenger hunt that works on any mobile phone. You simply plan all your clues and answers online then schedule a time for the scavenger hunt to start. The clues will be sent to your significant other and when they text back the correct answer they receive the next clue. Using Text Clues makes the scavenger hunt more exciting and will have them asking how did you do that? Also they won't recognize the number so you can add an increased element of surprise to your scavenger hunt.